Heritage At Roswell - The Wonderful Neighborhood Includes Great Schools, Two Pools, Tennis Courts, Walking Trails, And Clubhouse With Fitness Center. MLS#6520981. Realty One Group Edge. Long Pointe - Great Space In Finished Terrace Level MLS#6520525. Keller Williams Rlty, First Atlanta. Land O Lakes - Easy Highway Access To Downtown, Too! MLS#8544684. Keller Williams Rlty-Atl.North. The Gables - Beautiful New Listing! MLS#8544396. Keller Williams Rlty.North Atl. Westbrook - Luxury Trim, Gleaming Hardwood Floors Throughout, And A Beautifully Updated Kitchen With Custom Made Cabinets And Stainless High End Appliances (Which Convey With The Sale)* Huge master & Sitting Room, Opens To A Balcony Overlooking The Front Patio & Water Feature*A Private Fenced-In Back Patio Completes This Wonderful Home*Under 5 Minutes To Picturesque Downtown Roswell* MLS#6519948. Coldwell Banker Residential Brokerage. So Many Upgrades, Impossible To List Them All. MLS#6519606. Coldwell Banker Residential Brokerage. Each Bedroom Has En Suite Bath! Gated Community! Washer and Dryer Included! MLS#6519321. Atlanta Fine Homes Sothebys International. Martins Landing - Swimming, Trails, Biking Along Lake Chattahoochee River, Are Just Few Perks Of Living Here. MLS#6519493. Keller Williams Realty Atlanta Partners. Wexford - )Owner'S Retreat With Spa-Like, Tiled Bath, Soaker Tub, Frameless Shower!Spacious Sec Bedrooms W/Tons Of Closet Space!Terrace-Fitness Room,Bath,Rec Room, Theater, Storage/Wkshop- Outdoor Liv At It'S Finest-Stone Courtyd And Bckyd To Die For! MLS#8542767. Keller Williams Rlty. Partners. 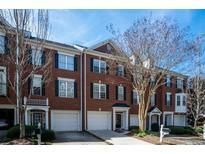 Walk To East Roswell Park, East Roswell Library, The Post Office, Schools, And Shopping. Priced To Sell Fast! MLS#6518689. Bhgre Metro Brokers. Creekside At Mansell - Private Fenced In Ground Level Back Deck. MLS#6518257. Dorsey Alston Realtors. The Second Floor Also Features Two Additional Bedrooms With Full Baths And Large Laundry Room. MLS#6517347. Custom Realty Group, Llc..
Come And See What The Harlow Lifestyle Is All About! MLS#6517810. Eah Brokerage, Lp. Heritage At Roswell - Upgrades Throughout Include Plantation Shutters, Recessed Lighting, MLS#6517305. Atlanta Communities. Heritage At Roswell - Tremendous Swim/Tennis Subdivision With Clubhouse And Exercise Facility! MLS#6515578. Realty One Group Edge. This One Will Not Last Long! MLS#6515976. Keller Williams Realty Chattahoochee North, Llc. Martins Landing - Walk To Chatt River, 55 Acre Lake Martin, 15 Tennis Courts, 3 Pools & Miles Of Walking/Biking Trails. MLS#8539194. Keller Williams Rlty First Atl. Views At Coleman Village - Private Deck Overlooks Quiet Wooded Back Yard. You Will Love Living Here! MLS#6515863. Re/Max Metro Atlanta Cityside. 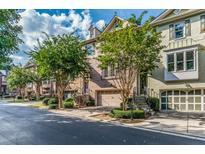 Creekside At Mansell - Minutes To Ga400, N Point Mall, Verizon Amphitheater & All N. Fulton Has To Offer. MLS#6515921. Re/Max Paramount Properties. Close To Everything, But Tucked Away For Privacy. No Hoa Fees. MLS#6515725. Mark Spain Real Estate. House Is Conveniently Located Near Downtown Roswell, Minutes To Shopping/Dinning/Entertainment At Avalon/North Point Mall And Perimeter Areas. MLS#6515474. Homecraft Realty, Inc..
Willow Springs - Minutes From 400, Approx. 5 Miles To Downtown Roswell. MLS#8537577. Re/Max Legends. ~~Five Minute Drive To Historic Roswell.~~ MLS#6514011. Keller Williams Realty Atlanta Partners.